From 1981 through 1989 I dedicated my career as an Assistant District Attorney for Niagara County. In that position, I conducted many complex criminal prosecutions including Conspiracies and Murder Trials. 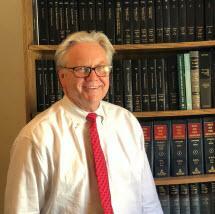 In 1989 Claude A. Joerg, Attorney at Law began representing clients in the areas of Personal Injury Litigation, Child Custody Litigation, Matrimonial and Estate Litigation. The experience that I had gained in my years as a successful prosecutor provided me with the necessary skills to take my client's most important life issues to trial is a proper settlement could not be negotiated on their behalf. Within a short period of time my practice become very successful and resulted in significant Jury and/or Judicial verdicts for my clients. In 1994, due to an expanding practice I purchased the Law Office where my practice is presently located, 260 East Avenue, Lockport, New York. I continue to handle a boutique selection of matrimonial cases, personal injury cases as well as Probate litigation. In 2001 I was appointed to serve Niagara County as the Niagara County Attorney and have served in such position for sixteen years and in 2014 the Town of Pendleton was added to this Municipal Law Practice. It continues to be my pleasure to meet with families to plan for their future and preserve the wealth that they struggled for so long to acquire. In this representation Last Wills and Testament, Durable Powers of Attorney, Advanced Health Care Directives, Deeds with reserved Life Estates and Living Trusts are all tools that can successful! in wealth preservation.